The high-stakes battle between two casino titans over the Vegas of the East Coast. It’s all quiet now on the eastern front of the American gaming industry―Atlantic City, New Jersey―but for five chaotic years, real estate developer Richard “Skip” Bronson was at the white-hot center of a titanic clash of money and power that transformed Atlantic City from a struggling day-tripper place with buses in and out to a born again destination drawing tourists from New York, Philadelphia, and other major cities along the eastern seaboard. From 1995 to 2000, two of the world’s best-known companies― Mirage Resorts and Trump Resorts―run by two of the most flamboyant businessmen of our time, fought a bare-knuckled, high-stakes battle over a prime piece of real estate in one of America’s most famous resort towns. 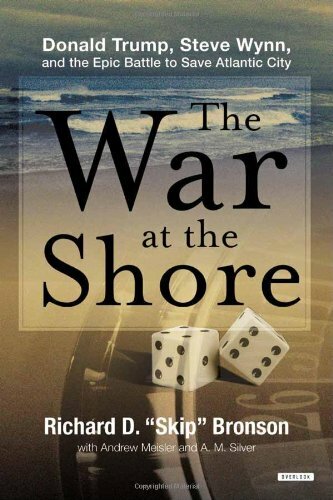 No money was spared, no punch was pulled, no invective went unhurled in “The War at the Shore.” Now Bronson, who was a member of the board of directors of Mirage and president of New City Development Company, the Mirage subsidiary whose primary purpose was to build a top-level new casino and hotel complex in Atlantic City, tells the inside story of this epic struggle. Along the way, Bronson weaves in fascinating and inspiring anecdotes from his complicated past: A product of a fractured family and city-owned housing project in Hartford, Connecticut; former paperboy, spelling bee champion yet college dropout; and prolific developer of shopping centers and office buildings―including CityPlace, Connecticut’s tallest skyscraper, Bronson embodies the self-made business success story. 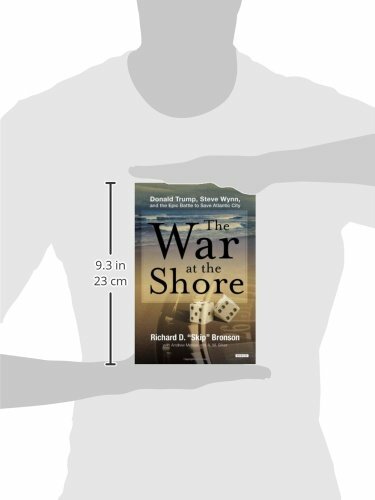 Gripping from beginning to end, The War at the Shore is a rare up-close look at the world of casino development and the essential modern chapter in the history of America’s “Boardwalk Empire.”The high-stakes battle between two casino titans over the Vegas of the East Coast.